Our Ford Transit Custom SPORT Side Bars ( SPORTLINE )LWB are the latest addition to our extensive Custom Side Bars range. The quality is simply superb making these the best Transit Custom, Style upgrade product on the market! 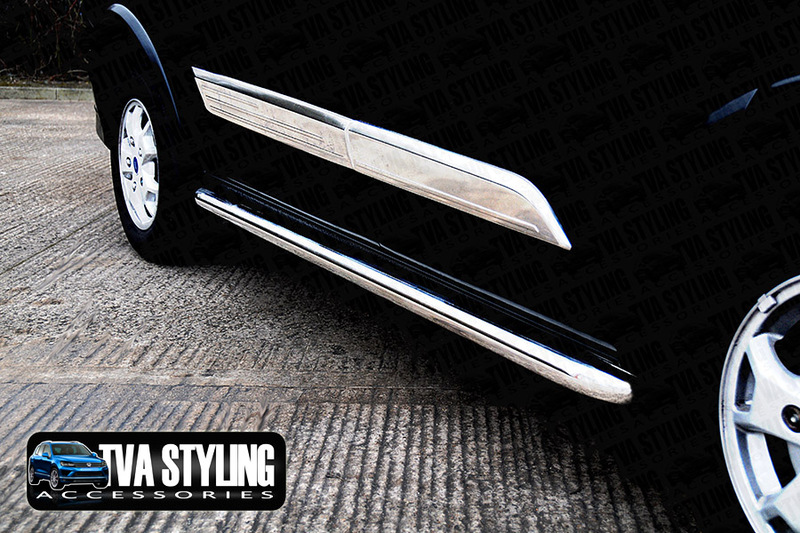 These SS001 Ford Transit Custom Sportline style chrome look sidebars fit all LWB models! The price includes a pair of Sportline Side Bars for LONG WHEEL BASE Ford Custom Van that fix to chassis frame mounting points. Click the button below to add the Ford Transit Custom Side Bars OEM Sportline LWB 2012- to your wish list.